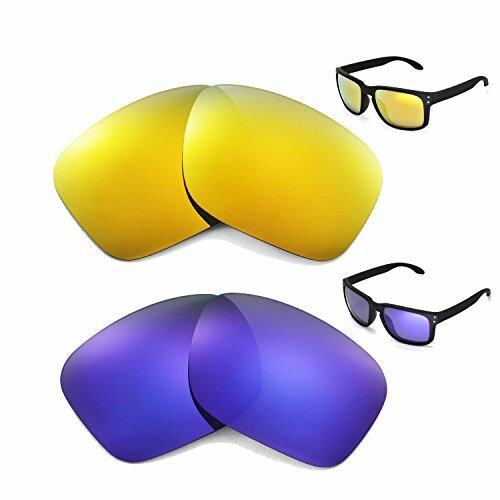 Walleva manufactures customized polarized lenses and accessories such as earsocks and temple shocks for your sunglasses, which will fit your sunglasses perfectly. We provide plenty of colors such as red, blue, green, golden, purple, titanium, brown and black. The base lens color is gray, which provides 16% light transmission. Our lenses has passed Drop Ball Test, which is the FDA standard for glasses lenses impact resistance. We provide protective film(s) to protect your lenses from scratch, once you remove the film, the lenses will be crystal clear.